I know very little about basketball. Normally, this lack of knowledge does not hinder my professional life, even working in sport heritage research. 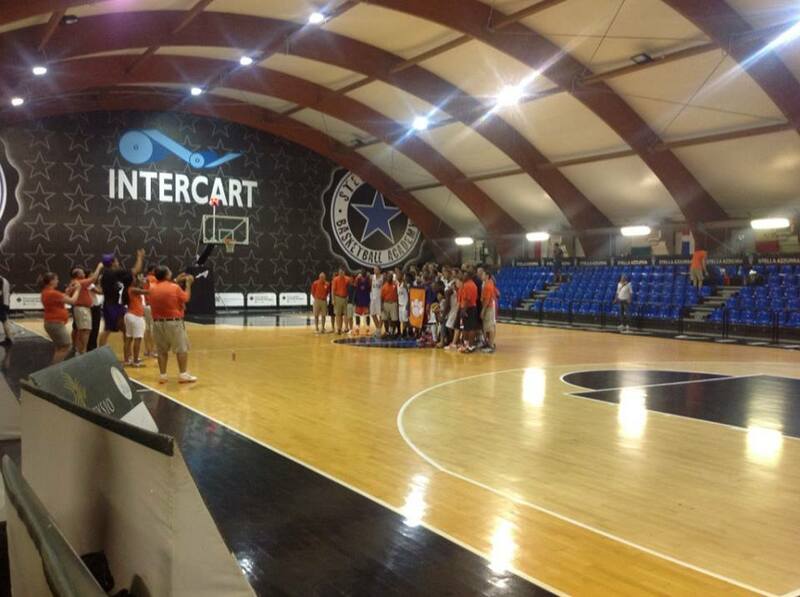 However, being on a basketball tour of Italy – as I am now with the Clemson men’s team – I have had to make a quick study of the sport and its nuances. I have to admit, many of the cultural dynamics of the sport would have escaped me had it not been for the players describing the Italian style of play in cultural terms. To wit, they have been keeping travel journals as part of their coursework, and many have described how Italian basketball players and teams have a different “culture” in terms of how they play, and how this is one of the main differences that they have noted between Italy and the US. For example, many of the players note that the Italian teams they have faced are very good outside shooters, and that they don’t play the same, inside aggressive style as US teams do. Similarly, they said that the teams are quite good at passing, which is not as prevalent in US basketball. Of course, there have also been some cultural adjustments that the players have had to face. For example, in last night’s game just outside of Florence (which Clemson won handily 103-58) Clemson was called for travelling (or “walking” as the Clemson coaches call it – again, another reference that was foreign to me) 15 times. As it was explained to me, this was in part because the rules – and the way they are called in Europe – differ from the way they are in the US. Of course, this cultural difference was frustrating to the players and coaches, even though the knew they had to adjust to the local interpretation of the rule rather than vice-versa. However, even for a hockey guy like me, there are some cultural traditions on this tour that are familiar. For example, there is an exchange of gifts at the beginning of the match – which is very common in other international competitions – and the opposing teams have been posing for pictures with one another after the game (see below). Last night, they even played the national anthems of the US and Italy – even though the game was held in a small gymnasium in front of, perhaps, 100 spectators. By Gregory Ramshaw in Uncategorized on August 13, 2013 .